Have Madonna and her estranged son Rocco made up? 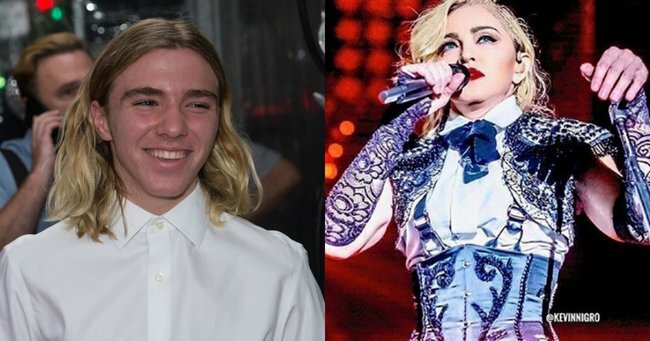 It seems that the icy standoff between Madonna, Guy Ritchie and their 15-year-old son Rocco is beginning to thaw, with the pop star reunited with her son over the weekend. Flying into London from New York last week, Madonna was reunited with Rocco, who visited her at her UK home for a number of hours after being dropped off by Ritchie. Having left his mother during her Rebel Heart tour, Rocco has since been living with his father, step-mother and younger siblings in London since December and said that his mother treats him more like a trophy than a son. Sadly, the custody battle has become increasingly bitter and public in recent months, with Madonna speaking about the situation at almost all of her recent shows. From tearfully dedicating songs to projecting images onstage, Rocco has been the source of much of the pop star’s banter, and the court judge isn’t happy. Warning that the battle could end what “fast receding days” Rocco has left of his childhood, Justice McDonald urged the parents, who separated in 2008, to settle their differences over where their son should live sooner rather than later. Madonna posted many heartfelt messages to Rocco on Instagram following his departure from the tour. Source: Instagram. Having launched litigation in the UK and the US, Justice McDonald has ruled that the legal battle will be heard in a New York Court. Madonna&apos;s lawyer, David Williams has said that the singer is focussed on healing recent wounds with her son. "What she has always wanted to do ... is to find a way in which this family can get to heal the wounds which have been inflicted on this family over the past four months,” he said. Adding that the superstar wishes to “chart a course for Rocco and the family which enables them to put this behind them and to restore peace to the family,” he said. Rocco (far right) with siblings Lourdes, Mercy and David. Source: Instagram. While the singer has faced criticism for taking her four children on tour with her throughout the years, she has always maintained that it is possible for her to be an good entertainer and a good mother. But her recent Australia tour saw thousands of fans complaining and asking for refunds after her late arrivals and erratic behaviour saw many calling her performing abilities into question. Being a teenager is hard for anyone, so hopefully this initial meeting plays an important part in their reconciliation and leads to Rocco getting the environment he needs. 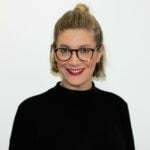 Listen to last week&apos;s episode of Mamamia Out Loud to hear what Mia Freedman, Kate de Brito and Monique Bowley make of the situation.